Mar 28, 2017—On April 29, 2017 the San Diego Off-Road Coalition (SDORC) will be participating in the 52nd Annual Lakeside Western Days Parade. The theme this year is “Courage, Honor & Sacrifice; A Salute to our Law Enforcement” Click here for parade details. 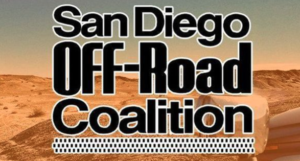 Calling all off-roaders: Come help us represent off-road recreation! Join our contingent and ride/drive your off-road vehicle legally in the parade. After the parade we will have a little BBQ at nearby Lindo Lake Park. Our staging area is at 10149 Channel Rd, Lakeside, CA 92040 in front of Window Tech. The nearest cross street is Mapleview St. We will have a check-in table set up in their parking lot. Check in between 7:00 AM and 8:30 AM to sign up, read the rules and sign the waiver; the parade begins at 9:35 AM. For info call or text Audrey at 619-992-4180 or email sdacg4@gmail.com. Hope to see you there with your family and your toys! Feel free to spread the word and invite your off-roading family–the more the merrier!